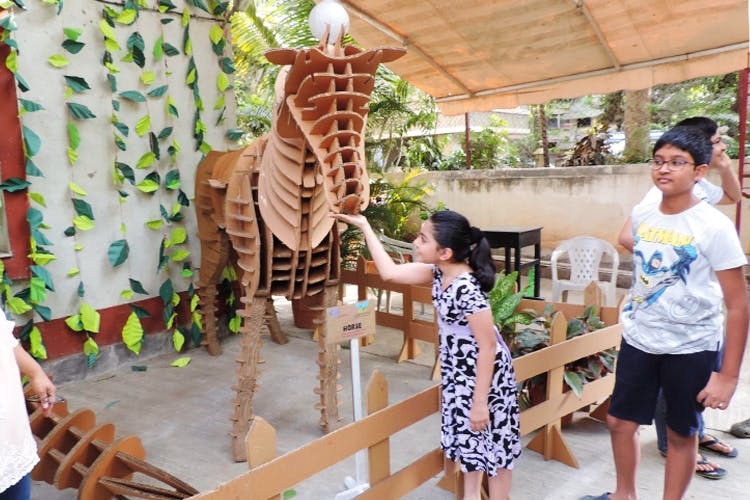 Paper Shaper, started by Mumbai’s Haresh Mehta, offers people an alternate sustainable solution to wooden, metal and plastic furniture. From cradles to coffins, they make everything with corrugated cardboard and each item is durable, lightweight, recyclable and eco-friendly. The store has multiple options you can choose from, including cradles, chairs, tables, stools, single beds, sofa sets, wardrobes (with wooden frames), storage boxes, organisers, laptop bags, folders, magazine, book & CD racks, coffee bases, dustbins, rocking chairs, table lamps, decorative trophies etc. Three things which stand out about the store are their children furniture which are free of sharp edges and simple enough to assemble on their own, miniature coffins for pets which help them leave the world in a dignified and eco-friendly way and their Loo Box which helps rural women to fight open defecation where they have to hold bedsheets to cover themselves. Paper Shaper uses corrugated cardboard, which is different from regular cardboard as it contains a corrugated sheet in between two flat liners. That makes the furniture light, strong and durable enough to withstand the heavy objects, and sustain the wear and tear of transportation. The items are extremely durable and have a shelf life of 7 years. The products are priced from INR 1,000 to INR 12,000 and are delivered all across the globe. If you want to do something for planet, you can start from here. You can buy the products from their website and check their Facebook page for more information.